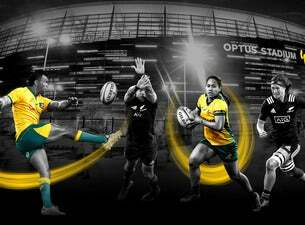 In August 2019, the Qantas Wallabies and Buildcorp Wallaroos will feature in a doubleheader in Perth against New Zealand. This will be the only time the Qantas Wallabies and All Blacks play on Australian soil next year in the lead up to the Rugby World Cup. Played at the state of the art Optus Stadium, this will be an experience for the whole family to enjoy. Join the Gold Rush and get behind our teams to experience these epic Test matches live.